Psychoanalytic Concepts and Technique in Development offers a clear and thorough overview of contemporary psychoanalytic theory and clinical technique, from a largely post-Freudian, French perspective, but also informed by the work of Klein, Bion and Winnicott. 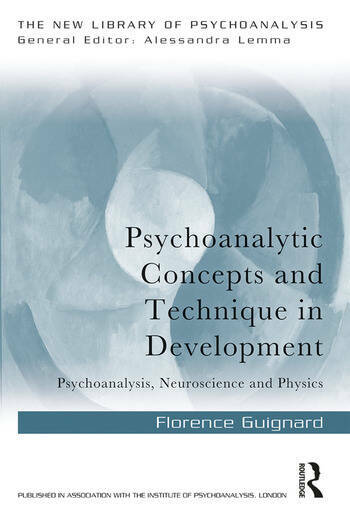 Drawing on the French tradition, Florence Guignard sets out a comprehensive guide to the major drives and concepts in classical psychoanalysis, and how these are understood and employed in contemporary psychoanalytic training and practice, whilst looking ahead to the future of the discipline and drawing upon findings from related fields. Combining significant insights with an accessible style, Psychoanalytic Concepts and Technique in Development will appeal to psychoanalytic psychotherapists and psychoanalysts of all levels. Florence Guignard is a Swiss and French psychoanalyst and member of the IPA. She is Past Chair of the IPA COCAP (Committee on Child and Adolescent Psychoanalysis) and founded the SEPEA (Société Européenne pour la Psychanalyse de l’Enfant et de l’Adolescent) in 1994.